Bird Closet is a collective of young people that developed organically from the relationships established as part of SOIL SERIES: A Social Drawing, an ongoing socially engaged artwork in Bethel, OH. In Bird Closet, teens who have played integral roles in the evolution of SOIL SERIES become artists in their own right, working in horizontal collaboration with one another and with SOIL SERIES’s founding artists to create works that excavate Bethel’s past and use this history as material for the creation of a new future. Bird Closet is distinguished by its playful, prankish nature. Members of the collective have each assumed a bird alter ego and fashioned an accompanying mask. By conjuring an alternate universe steeped in a rich self-mythology, Bird Closet creates a parallel space in which the artists are free to pursue creative and social projects that may seem otherwise untenable in the world as it exists. Far from escapist, the works of Bird Closet are meant to intervene on material reality and inspire similar explorations by other residents of the area and beyond. 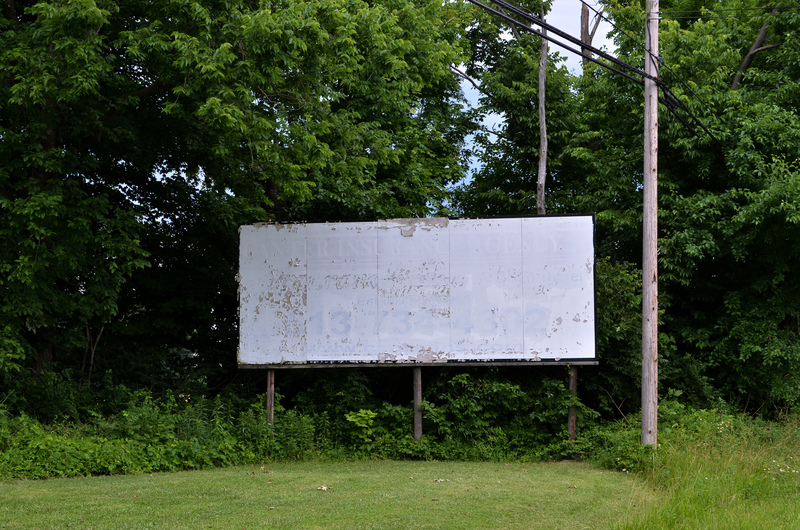 Bird Closet has staged two public interventions thus far: a series of three billboards installed at the entrance to the village of Bethel on State Route 125 and the zine Fraxinus, issues of which have been covertly disseminated in public areas around the village. At the heart of Bird Closet’s public interventions are collages, which reconfigure language and imagery extracted from relevant literature and the publicly available archives of the Bethel Historical Society and Museum. By reappropriating fragments of Bethel’s history, Bird Closet invents a brand new idiom through which to voice new forms of community and new modes of social imagination. Next Video: What’s happening with SOIL SERIES?